The Direct on Line motor starter (DOL) is designed to switch a single or three phase induction motor at rated voltage. It is the simplest form of starter for small motors especially for motors connected to light loads. With heavier loads the running up the speed is prolonged and the motor may suffer damage from overheating caused by the high starting current. 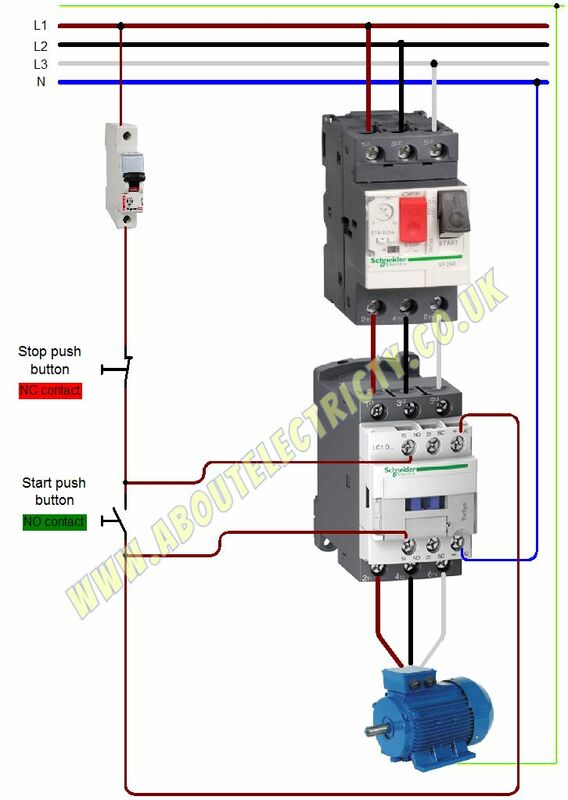 Pictures 1 and 2 are showing direct on-line starters with overload relay and motor protection switch. Pic. 1. 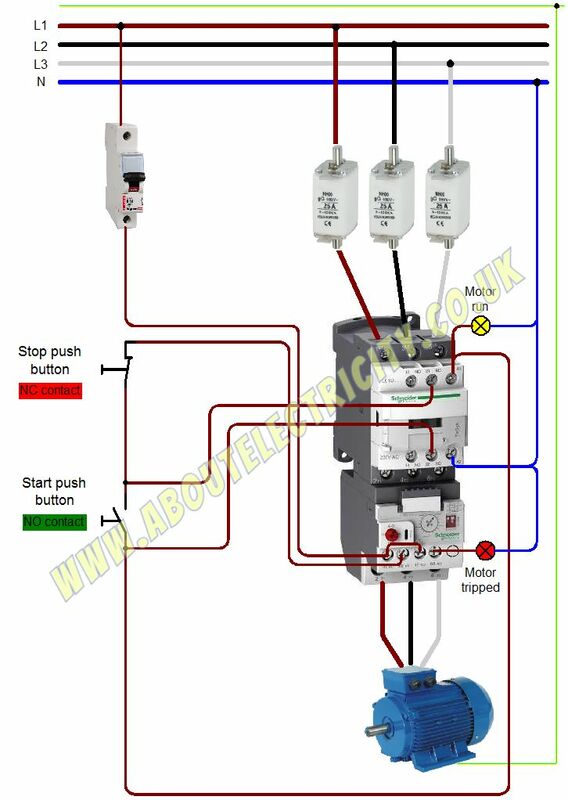 DOL starter with overload relay. Pic.2 DOL with motor protection relay. The control circuit is quite simple. 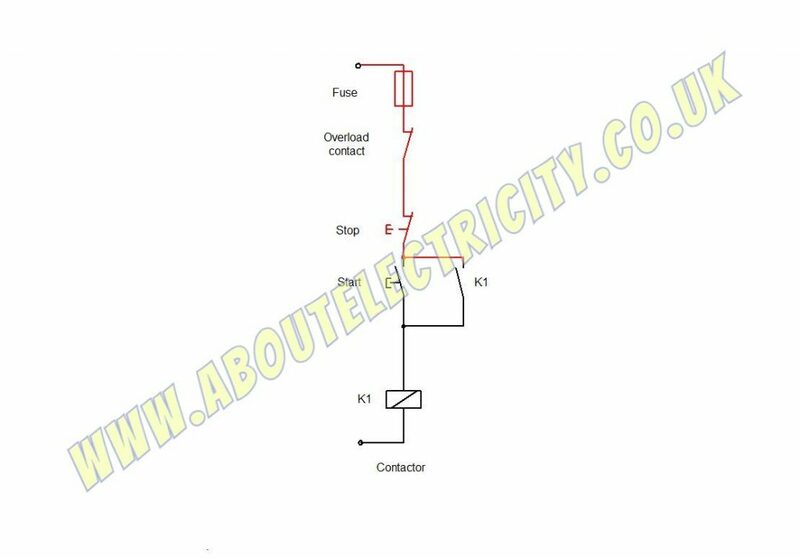 It consist of NC overload contact, NC contact of stop push button, NO contact of start push button and contactor coil. Another NC contact is required if using emergency stop. On the pic. 3 there is another NO contact wired in parallel to the start push button. It is so called retaining contact. This way you can press start pushbutton and release it and the contactor will stay energized till you press stop pushbutton. Pic.3 Control wiring for DOL starter. 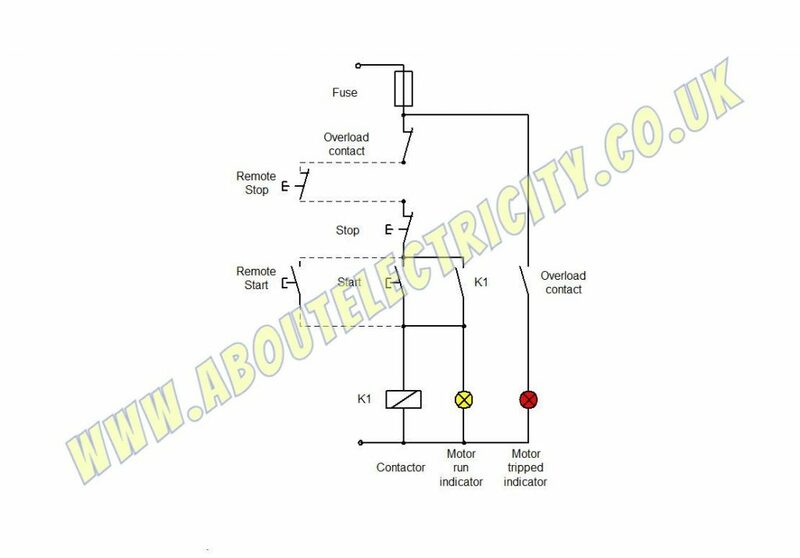 Picture no.4 is showing control circuit with remote start and stop push buttons. Pic.4 Control wiring for DOL starter with remote start and stop push buttons. Previous Previous post: Earthing systems.